In an email, a journalist residing in Kenya asked about the whereabouts of H.E. Isaias Afwerki, the President of Eritrea, and referred to the “chatter” in cyberspace in his inquiry about the President’s well being. Eritreans have long seized responding to such outrageous diversionary commentary, and the various tabloid like “breaking news” coming from groups and individuals sponsored by the minority regime in Ethiopia and its handlers. It seems the mainstream media have also lost their knack for good investigative journalism and source checking…so the deliberate misinformation continues. Time and again, the hapless groups parading as “human rights” and “democracy” NGOs, have proved their inability to present, or pursue, events in their true context-making themselves irrelevant on matters of concern to Eritrea and about Eritrea, its people and its leadership. These wayward elements, who have virtually no constituents in the vast Eritrean Diaspora, and even less inside Eritrea, have exposed their true colors and intentions in the last 15 years, and it is only gullible non-Eritreans, like the journalist from Kenya that sent the inquiry, that fall prey to the predictable annual froths from these insomniacs. The greatest humanitarian disaster in the history of Somalia, with thousands being killed, maimed and tortured, and millions being displaced from their homes and villages, Women and children have borne the brunt of destruction and mayhem that Ethiopia has brought to that nation and its people. The creation of, and growth of Al Shabbab is directly linked to Ethiopia’s invasion and the chaos and mayhem created has served as fertile grounds for the group to expand and wreak havoc in the lives of Somalis and states in the region. The regime also finds itself at odds with the Ethiopian people who are being massacred by its forces in the Gambela, Ogaden and Oromia regions of Ethiopia. It has also presented itself as being inept to defend the rights of the thousands of Ethiopian migrants that are today being massacred in the Middle East and Africa. The African Union Mission in Somalia, serves to provide the regime with much needed financial support, and work, for its forces. 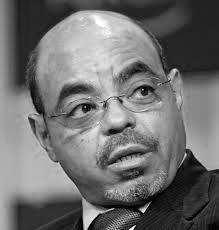 As for H.E President Isaias Afwerki, he is in good health. Fortunately, he is not encumbered by the debilitating inferiority complex and crab mentality that defines the minority regime in Ethiopia. Dedicated to developing his beloved his nation and providing for the basic needs of his people, and creating an environment for true partnership with neighboring states and others, he has no time for aimless and fruitless engagements with naysayers. The walking dead will continue to burn the midnight oil dreaming of his demise, spreading lies about Eritrea and its people, producing endless worthless self debasing articles and reports on behalf of their sponsors, but Eritrea and her people will not be diverted from their solemn promise to fulfill the dreams and aspirations of Eritrea’s best and brightest sons and daughters who sacrificed their lives to bring her independence. 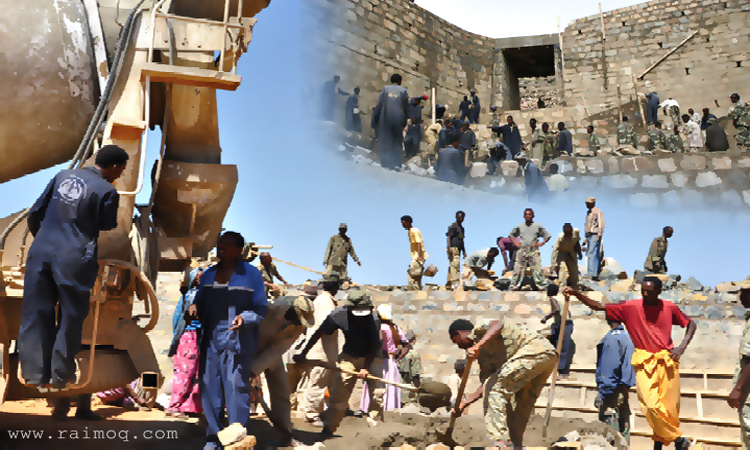 Developing Eritrea’s economic and human infrastructures is not a project for the faint at heart and it is certainly not a blue collar job…The people and government of Eritrea know that their hard work, sacrifice and success today, will lay the foundations for a brighter tomorrow. Scapegoating Eritrea for its failed domestic and foreign policies, and pointing its bloody fingers at Eritrea seems to be the current Ethiopian regime’s favorite diversionary tactics…but it should remember that the last time it did that…death pointing back. This entry was posted in Uncategorized and tagged Eritrea, Ethiopia, Meles Zenawi, President Isaias Afwerki, Prime Minister Hailemariam Desalegn, Somalia. Bookmark the permalink. I wish peace for both countries! 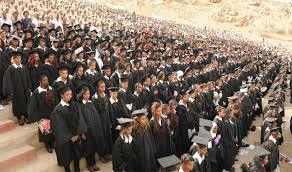 Beautiful articulate true of Eritrea…..No worries my brothers and sisters of Ethiopia, time has come up for Woyanne.